For over 850 NHL games, Paul Martin has been a player that can be counted on to make a difference. It’s a well-earned reputation, and one that extends far beyond the hockey arena. On September 3 in Minneapolis, Martin hosted his first annual charity concert for Shine A Ligh7, which helps raise awareness for those affected by bullying, depression, and mental health issues. For over 850 NHL games, Paul Martin has been a player that can be counted on to make a difference. It’s a well-earned reputation, and one that extends far beyond the hockey arena. He also shares just how important it is for him to lend a helping hand to others. Shine A Ligh7 will help raise awareness for those affected by bullying, depression, and mental health issues. On September 3 in Minneapolis, Martin hosted his first annual charity concert for Shine A Ligh7. 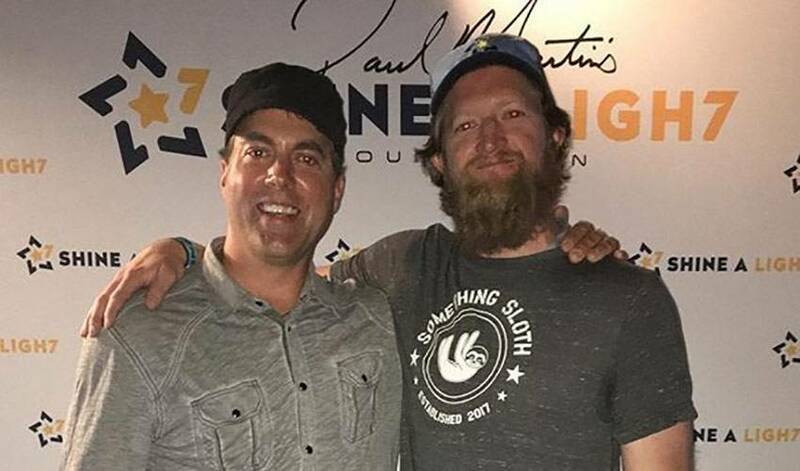 The Shane Martin Band performed their hits at the event, an evening that brought out fellow Sharks defenceman Brent Burns and Minnesota Wild forward Zach Parise, and also included a live auction. “Shine A Ligh7 was created over time through my experiences and relationships,” said Martin, who made his NHL debut with New Jersey in 2003-04. “It was born when I realized just how important and meaningful it was to me, wanting to make a difference in the well being of children's lives, those dealing with depression, bullying, suicide and overall mental health illness. Martin sees the foundation as a true team effort, something he noted in the last line of his website message. It might not be the Stanley Cup, but winning Da Beauty League’s John Scott Cup is a pretty big deal to the nearly 30 NHL players vying for it. Injuries have kept Paul Martin from wearing the USA sweater in the past, but the rearguard is ready to go for the Sochi Games.